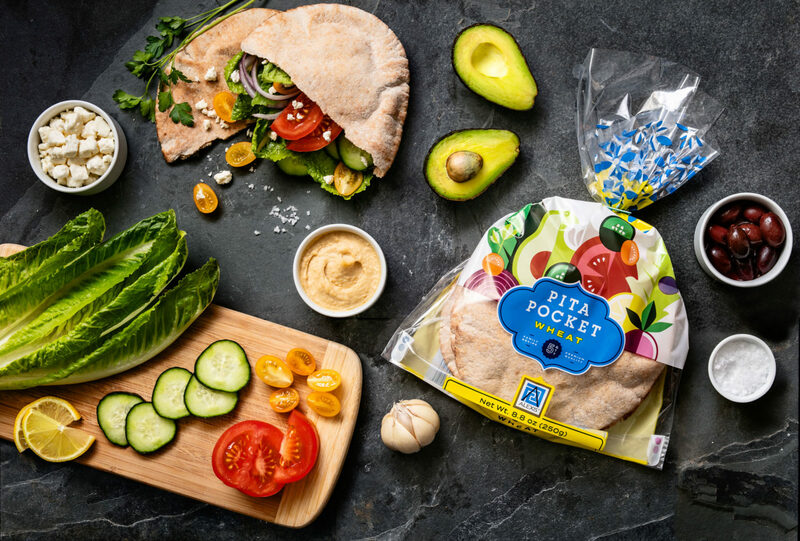 Alexis Foods needed new, colorful packaging for their delicious pita pockets. We couldn't be more pleased with the results of our work with Murmur. They are easy to work with and extremely detail oriented. 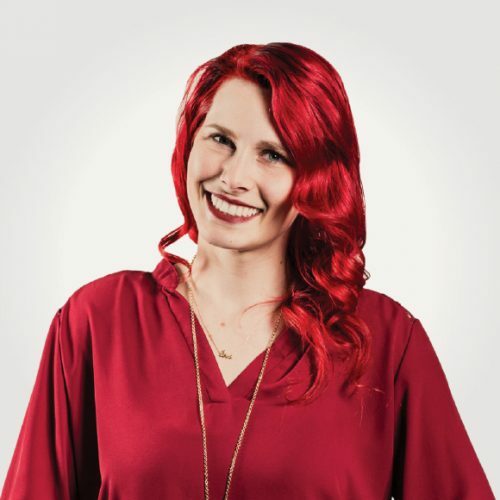 Each design meeting revealed new and exciting concepts and beautiful design examples. We look forward to working with Murmur on future projects. We really wanted to design packaging for Alexis Foods that would embody their rich history and bright future. Alexis Foods is a Mediterranean food importer with their own line of products. 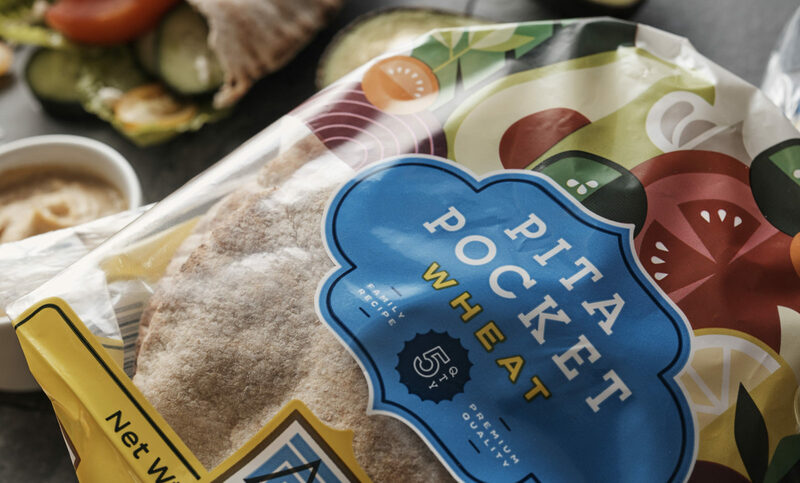 The family company needed new packaging to help their pita stand out on the shelf. 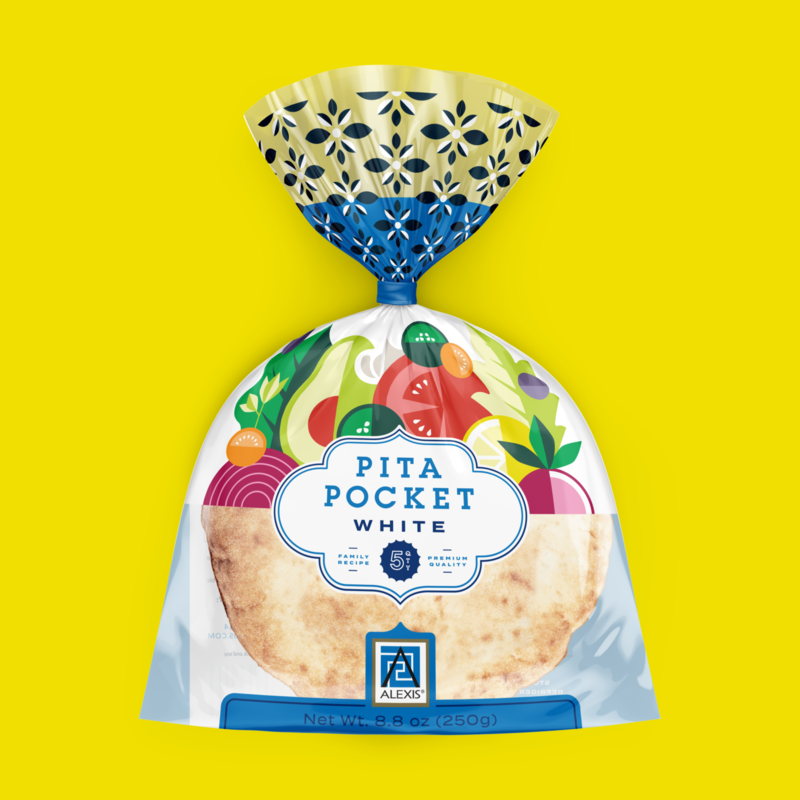 We steered away from more traditional pita packaging colors like beige in favor of bright, varied hues for both the white and wheat versions of the design. 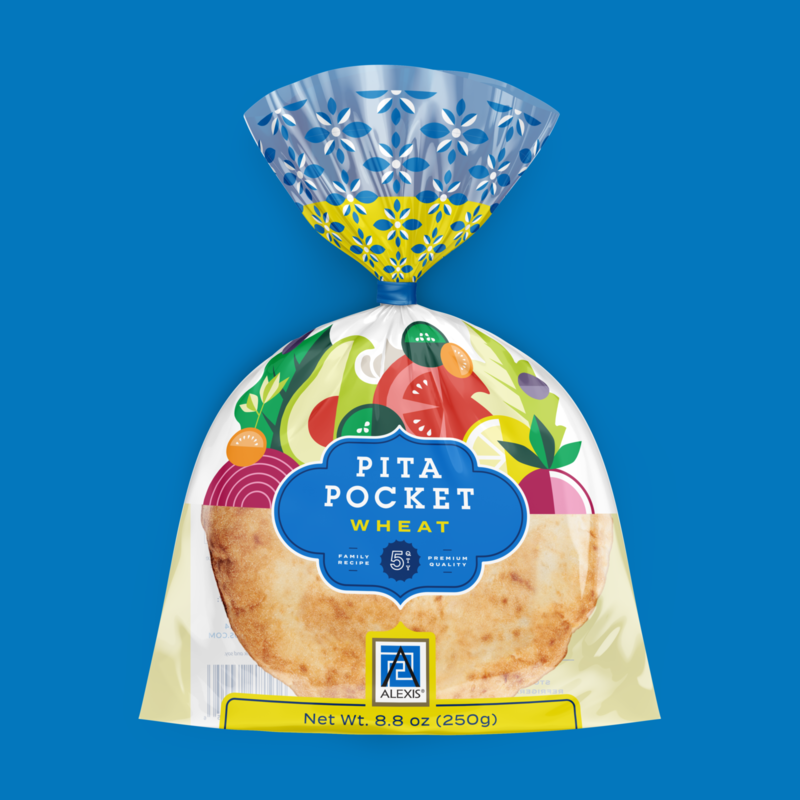 The packaging emphasizes the versatility of the pita pockets, creating whimsical ingredient suggestions through the design. 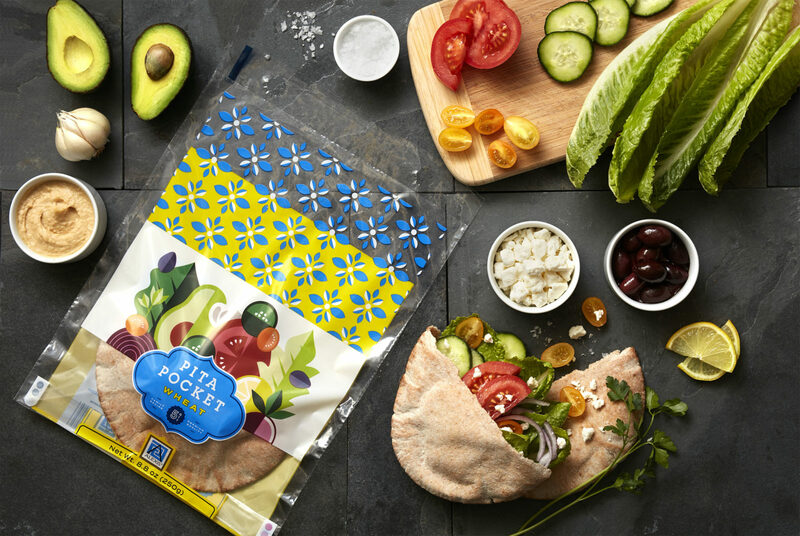 The vegetables are geometric and Mid-Century Modern in style and the design has been painstakingly measured so that the vegetables appear to be tumbling out of the half pita that shows through the packaging. We carefully placed the gusset so that it does not interfere with key design areas. 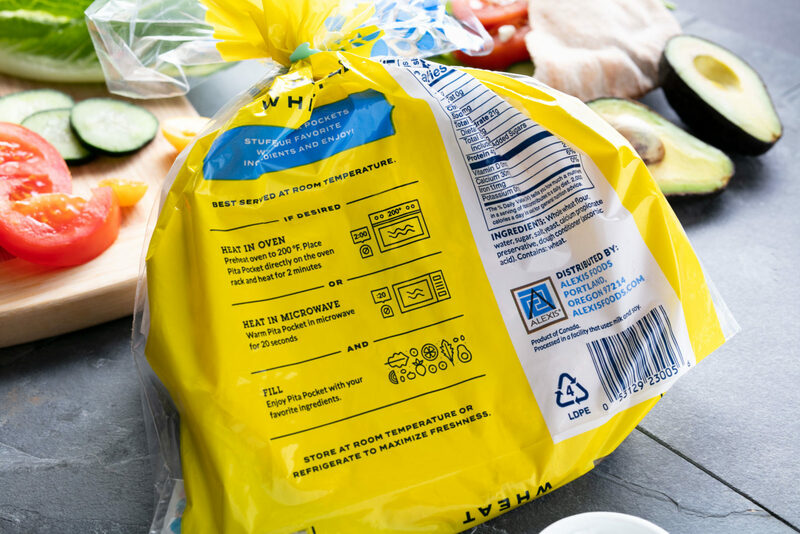 Alexis Foods’ logo has also been closely incorporated into the shapes and colors of the packaging. We have all the ingredients you need!